July 2010 – An incredible summer month! 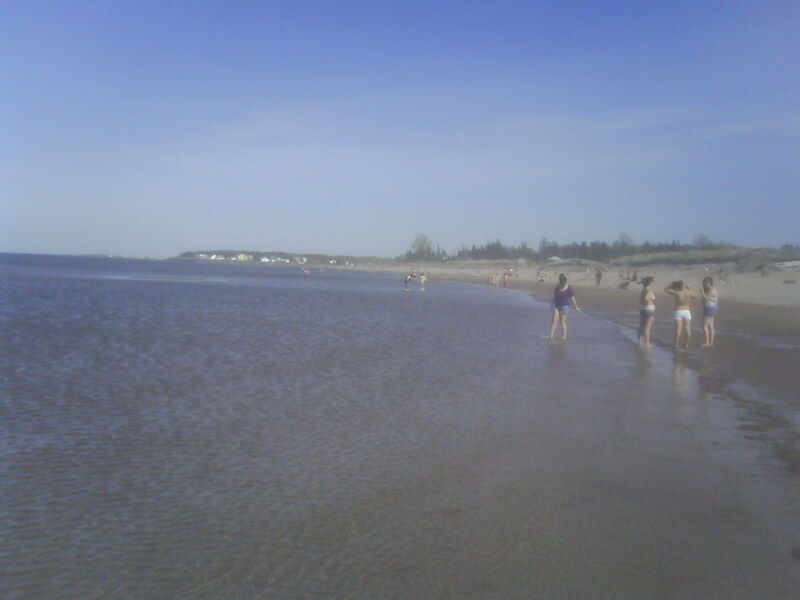 July 2010 will go down in the weather books as one of the best summer months in years in Greater Moncton – certainly the best July in the five years I have lived in New Brunswick. Days were warm – even a heat wave early in the month – and nights were mild with slightly above normal rainfall. Interesting to note… there were only two major rain events during July – on the 11th and the 27th – which accounted for 65% of the month’s total precipitation. Three days of heavy rain caused rivers to swell and overrun their banks, resulting in floodwaters destroying homes, schools, roads and railways. 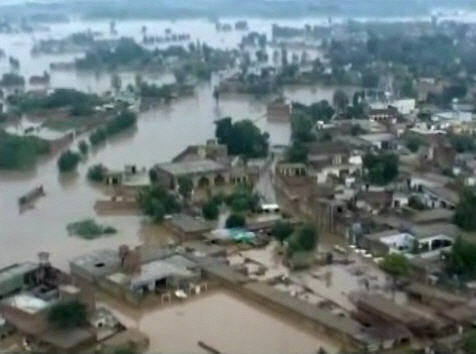 Emergency officials say over 20 villages in the Nowshera and Charsadda region (in northern Pakistan) have been destroyed and at least 800 people have died. More than 5,000 homes in those areas remain submerged under water. The Pakistan army has rescued more than 14,000 people from affected villages and towns so far. UPDATE – The death toll continues to rise at 1200 people and counting as of 02 Aug 10, two million have been forced from their homes. 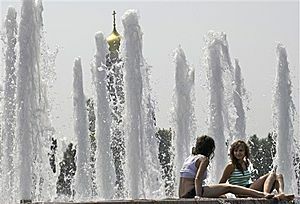 Heat records have been dropping like flies in the Russian capital of Moscow over the past few days as temperatures soar into the mid and upper 30’s C.
A new record high of 37.4 C was set in Moscow yesterday – making it the hottest temperature ever measured in the city’s recorded history. Temperatures in Moscow this time of year typically reach 22 C, which was actually the city’s low this morning. Not only did Canadians feel the heat last month, but June 2010 was reported as the warmest June on record worldwide. The National Oceanic and Atmospheric Administration found that warmer than average temperatures were felt across nearly all continents. Officials say that the combination of land and sea anomalies ranked this June above the June of 2005, which was the last warmest June on record. Meteorologists say we can credit some of this warmth to El Nino, characterized by slightly warmer ocean temperatures in the equatorial Pacific Ocean that cause a shift in the global weather patterns. It is July and it is the Rocky Mountains, but snow is still unusual for this time of year in Jasper, Alberta. 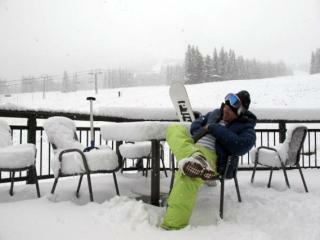 But that didn’t stop 18 cm of snow from falling on nearby Marmot Basin Ski Resort. The skiers were certainly happy and a bit shocked by the heavy snowfall for July. 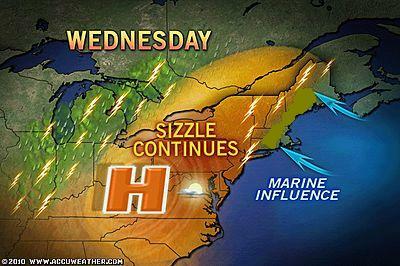 A heat wave has enveloped New Brunswick and new record high temperatures were set all over the province yesterday. 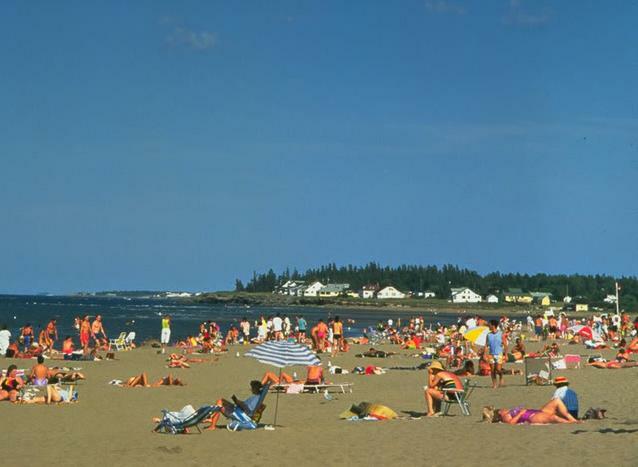 Miramichi was the hotspot at 37.0 C, also the hottest place in Canada. Much of Ontario, Quebec and the Northeastern United States have been sweating in an early summer heat wave – and now it’s our turn. Temperatures in New Brunswick today will soar into the mid-30’s C and a humidex advisory is in effect for areas away from the Bay of Fundy and Northumberland Strait with values approaching 40 C.
The heat is so oppressive, children and seniors are being warned to stay out of the sun from 10am to 3pm when the sun is strongest.